This should get you into the mysql> prompt. All commands executed from now on will be for the mysql server that you just logged into. Please note that the semi-colon is important - it tells the mysql prompt that the end of the command has been reached and to execute the command. I have an external drive connected to my router's USB port that I use a store center. 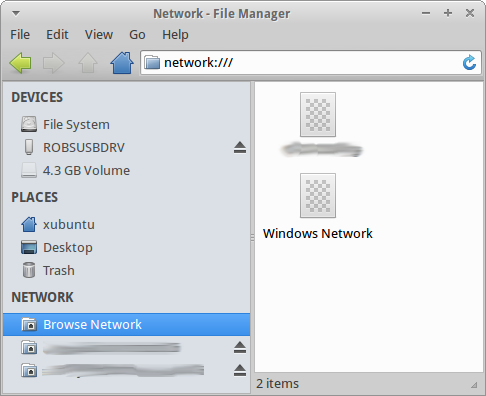 And when I log into my linux (Xubuntu) box, I am able to open Thunar (the default file browser) and click the Browse Network location under the NETWORK column heading in the left navigation pane. One of my recent projects required the use of iframes. We had to place the content of service provider in an iframe on our website. The problem was however that the height of the iframe content would dynamically change depending on user interaction (like choosing a different product or rate plan). So since the iframe content was from a different domain from where it was being displayed, I needed to use the wonderful easyXDM library. If you are like me and want to have WordPress perform updates from the admin section (and not provide FTP credentials) then you will probably want to know a few linux commands. Photos Added (see ComFree listing using above link)! I often times come across a situation where I have a string in a certain date time format and wish to convert that string into a .NET DateTime object for further manipulation. In one recent situation, a date was supplied in an XML node (without a specified data type) as a string, but the output of the date had to be in a specific format for my client. This blog entry is going to be my collection of useful Linux commands that I wish to refer back to in the future. I hope you find them useful as well. I purchased a GXT 2-Ports NAS USB Dongle model number NAS-R104A from future shop about a week ago hoping to allow network printing to my USB printer with little configuration. But, much to my surprise, I could not get the printer to print.